I forgot how much I love Saturdays. This morning, I was able to sleep in and it was a beautiful, beautiful thing. It has been eons since I’ve felt like I got a good night’s rest so that was quite a treat. Aside from a total fail of an appliance-delivery, a couple of random errands and the World’s Greatest Cup of Coffee, the rest of my day was pretty low-key! Until about 5:30 that is! 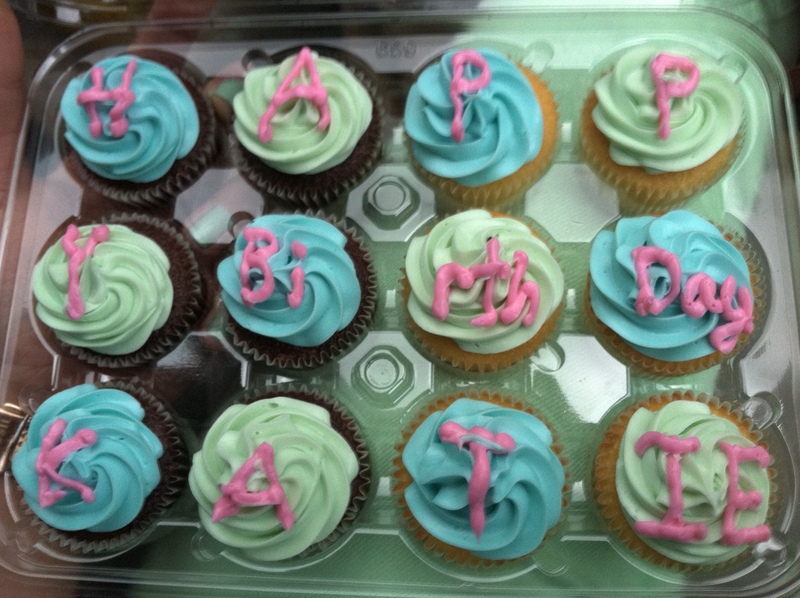 This afternoon, I was able to (finally) celebrate Katie’s birthday with her! I had some big plans for her special outings and fortunately, my evil plan worked out just perfectly! 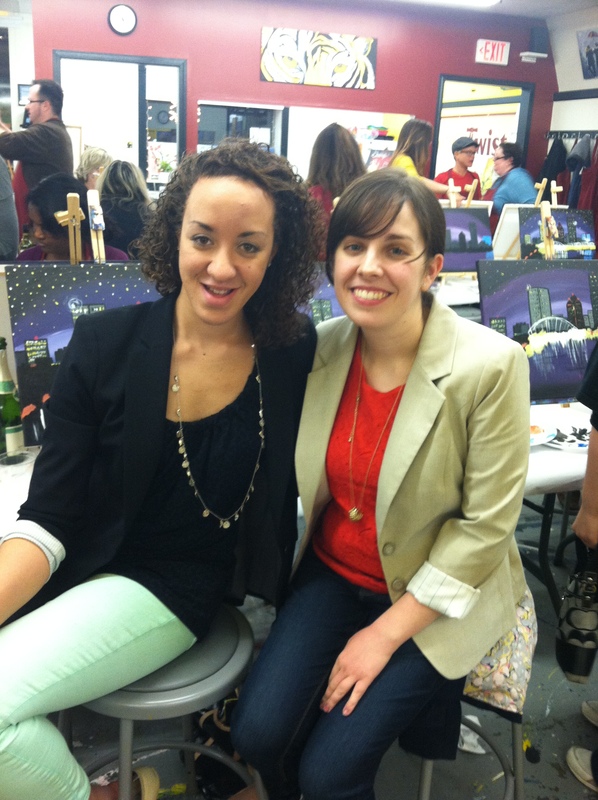 Tonight, we ended up taking a painting class at a new little studio that opened up last year! 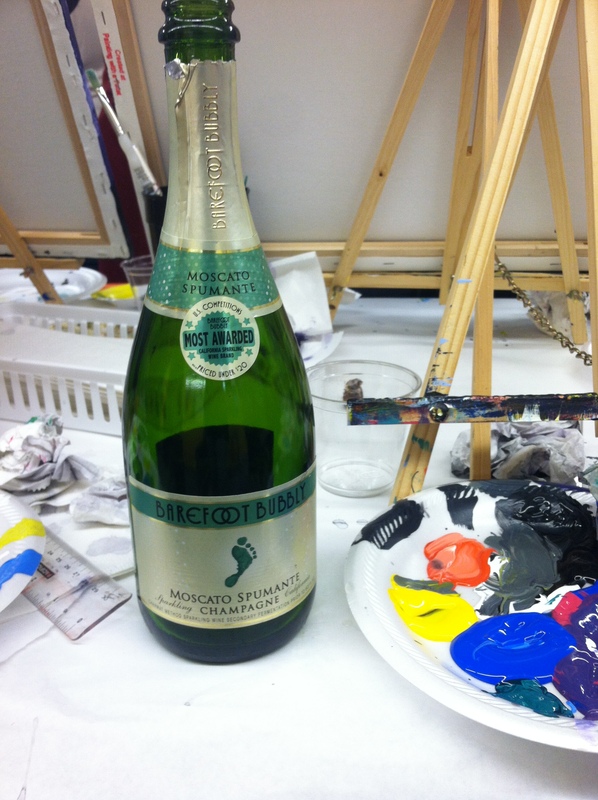 The cute little schtick of this studio is that it’s BYOB. Given that fun little option, it seems to attract LOTS of birthday celebrators, “girls-night-out” groups and people just looking to have a fun evening with friends. 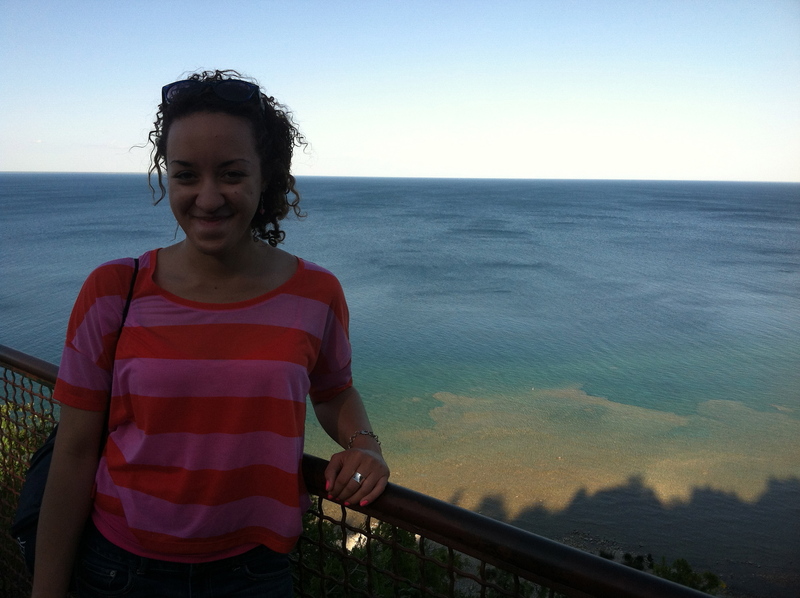 It was the perfect outing for a 23rd birthday! I wasn’t entirely sure how the class was going to run, but it ended up being pretty free-form. There was an artist on a stage in the front of the room who was recreating the painting and explaining the steps as she went along. 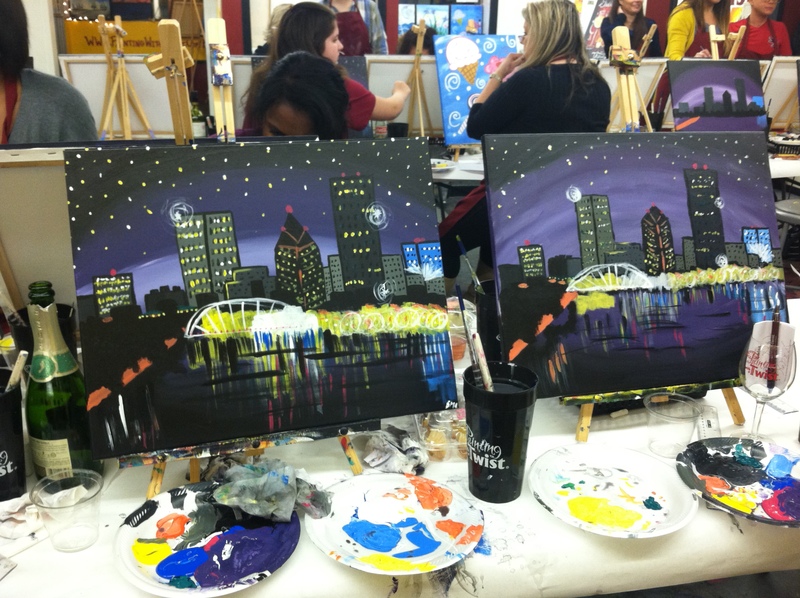 Our paintings were of a city skyline. It ended up being a 3 hour and 15 minute class! Our finished products! 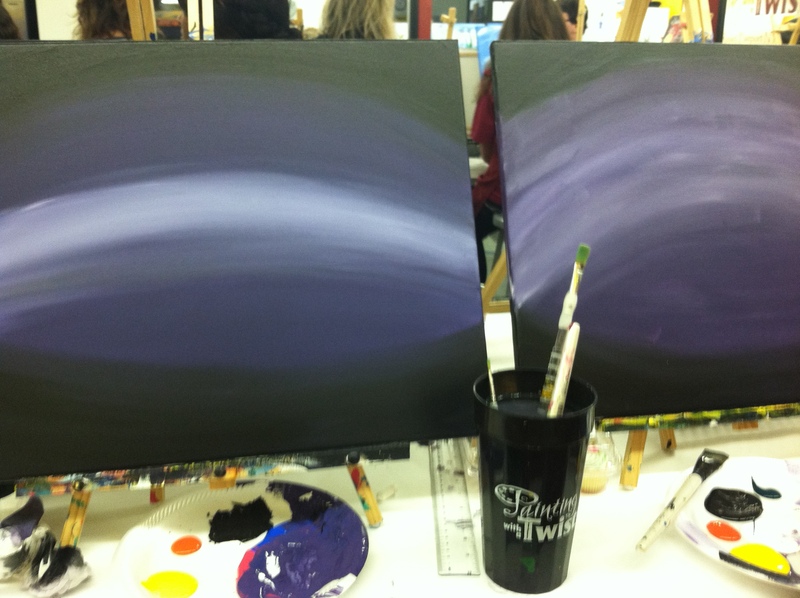 (Mine is on the left!). Overall, it was a very fun outing. I loved the environment of the place– everyone was just there to have have a good time and to learn something new! It was so fun to spend a birthday night out and to be doing something engaging and interactive at the same time. Katie and I were actually just talking about how without any sort of consistent intellectual or artistic stimulation, it kind of starts to feel like your brain turns to mush. Very quickly. Back in high school, I used to be very involved in art and took all sorts of classes from drawing/ illustration to painting and sculpture. On top of all of that, I used to sing and took piano lessons too! I loved having those creative outlets and didn’t realize until very recently just how much I miss them. Granted, this wasn’t a serious art class by ANY means, but it was fun and engaging and got those creative juices flowing! A very successful birthday outing to be sure. But before I go, I must share the story of How I Nearly Died with you. So I figured that in the spirt of celebrating a birthday, a bottle of bubbly would be the perfect accompaniment to our outing. Typically, the corks are IMPOSSIBLE to remove, right? That’s half of the fun! Well tonight, as soon as I removed the foil, I set the bottle down on the table and turned around for a SPLIT second to grab a towel to throw over the cork before I opened it. It seemed that the bottle had other plans. Within about five seconds, the cork FLEW OFF and shot off into the distance. It was by some grace of GOD that I wasn’t standing over it at the time because it probably would have broken a tooth. Or blinded me. Or broken my face! Oy vey. Just a word of caution: don’t trust pressurization! I hope you have a wonderfully relaxing Sunday ahead of you. Happy Oscars Day and I will talk to you soon! Today was a very special day indeed. It was my mom’s birthday! What made matters even more exciting was the fact that we both had the day off! That never, ever happens. So lucky that her birthday just happened to fall on my day away from work! It worked out perfectly. Perhaps my favorite part of the day was the cake that I made. Get ready for this. 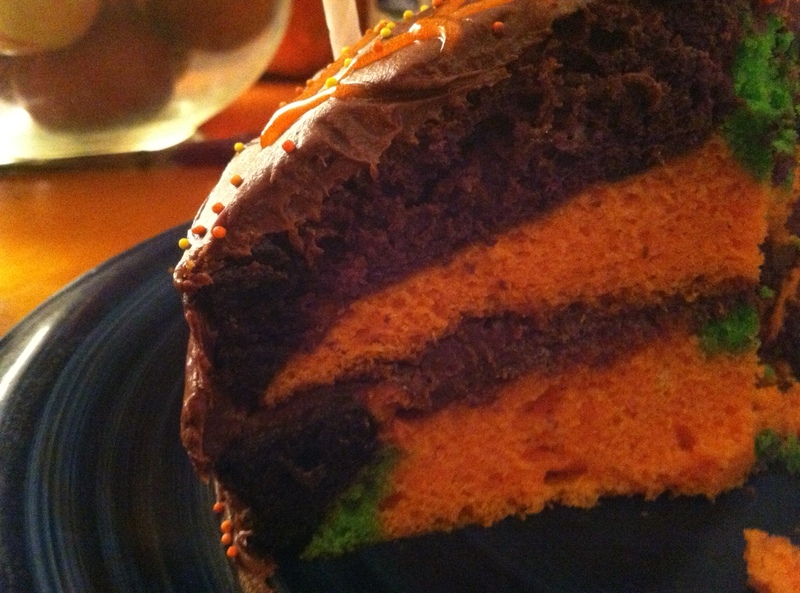 Given my mom’s mid-October birthday, I remember many-a Halloween flavored cakes over the years. They’re festive and fun and what could be better than that?! This one was no exception. 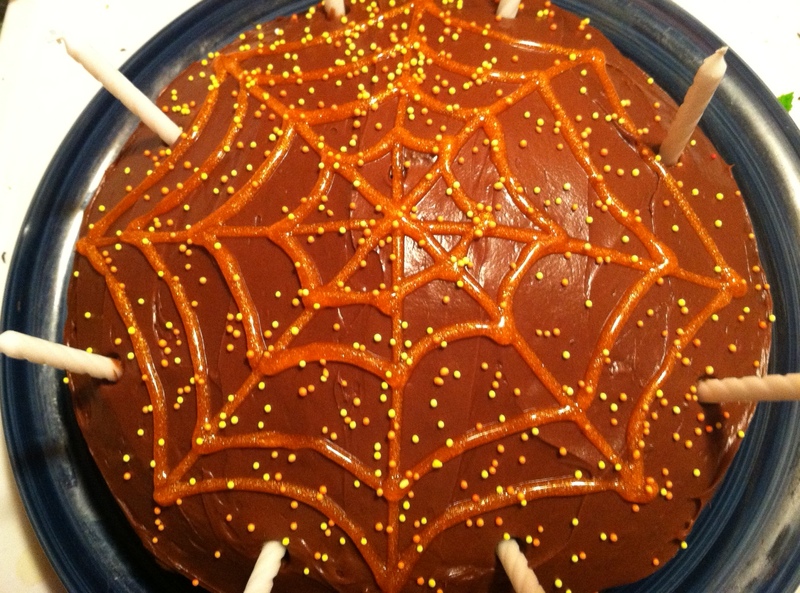 This spiderweb was created with a tube of the Wilton sparkle gel. It ended up looking very cool, but it was ridiculously tedious to make it even. The inside was AWESOME. <– she says so humbly… Heh. I separated the cake batter into four separate bowls and tinted the sections orange, purple, green and black. After dropping spoonfuls of the colorful batter into two 8″ cake pans and baking them, the result was a vibrantly colorful birthday cake that was perfectly suited to an autumn birthday! The cake, gifts and outings of the day were definitely a hit with mom so I was happy! In other news, there isn’t much new going on! 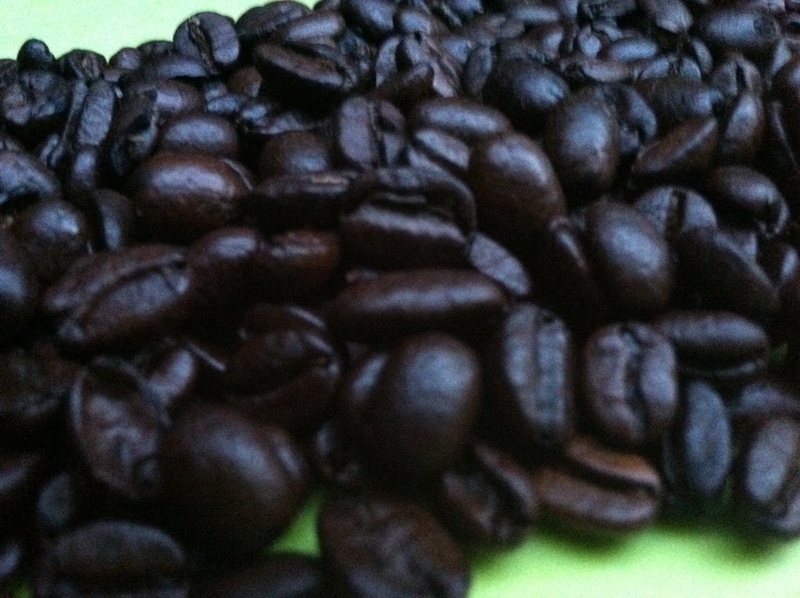 Tomorrow will bring an early morning workout (I feel like I weigh about 2,000 pounds today! I hate that feeling! ), breakfast with Chloe, work and tutoring. I must say, as much as I enjoy my job, it was awfully nice to have a day off.